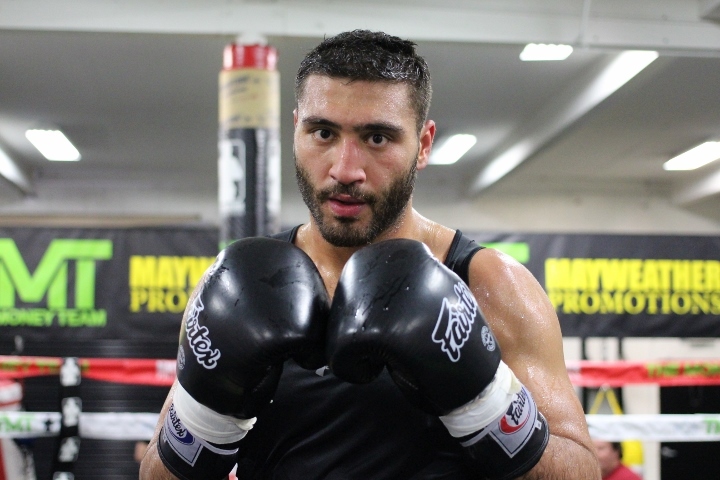 LOS ANGELES – Ahmed Elbiali is still recovering emotionally from his knockout loss to Jean Pascal in December 2017. And while Allan Green is 39 and had been inactive, one never knows what a one-time top contender has left in the tank. With that in mind, the Egyptian-born light heavyweight gave a strong performance on the Jose Uzcategui-Caleb Plant card Sunday. Elbiali (18-1, 15 knockouts) put Green (33-6, 22 KOs) down four times, once in the first, twice in the second and once more in the third. And that was it. The referee, satisfied that Green was finished, stopped the beat down. The official time of the stoppage: 1:16 of the third. What’s next for Elbiali? The Miami resident would like a shot at any of the current 175-pound titleholders. “I think I am the best Egyptian fighter of all time,” he said with a laugh.